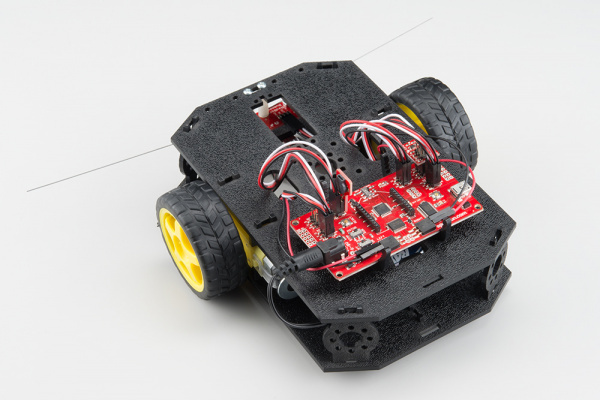 The SparkFun RedBot is a platform for teaching basic robotics and sensor integration! It is based on the SparkFun RedBoard and fully programmable using Arduino. 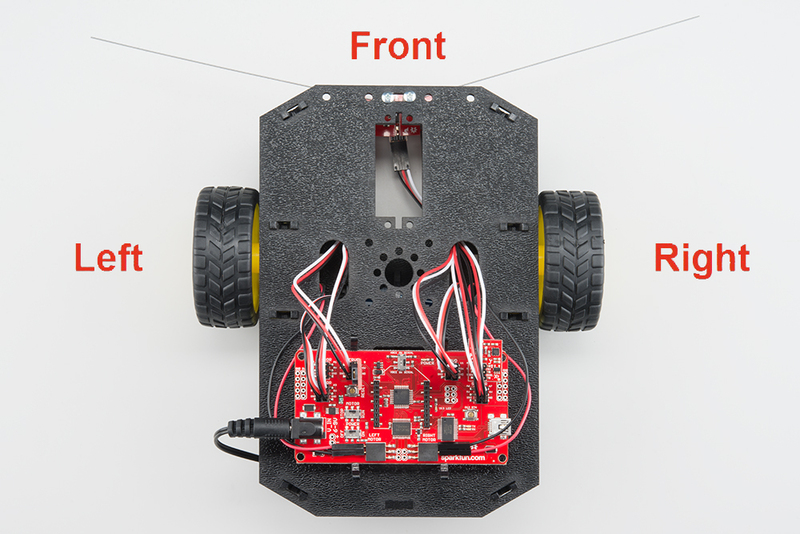 This guide describes the assembly of the new Shadow Chassis for the RedBot. If you want to learn how to program your robot, see the Experiment Guide for RedBot. NOTE: We recommend that you read all of the directions first, before building your RedBot. This tutorial will cover how to install all the parts in the SparkFun RedBot Basic Kit and the SparkFun Inventor's Kit for RedBot (SIK for RedBot). The SIK for RedBot contains additional parts to the RedBot Basic Kit. 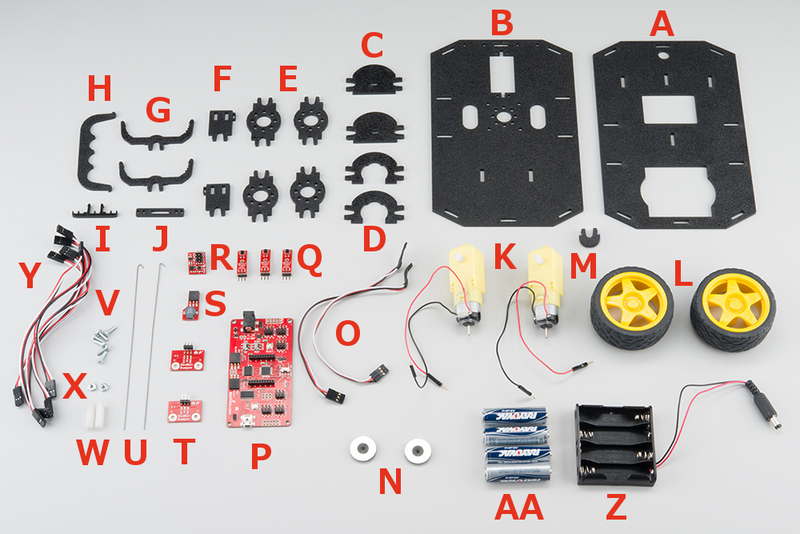 If you have the RedBot Basic Kit, please ignore sections pertaining to these extra parts. These sections are marked with the label (SIK). 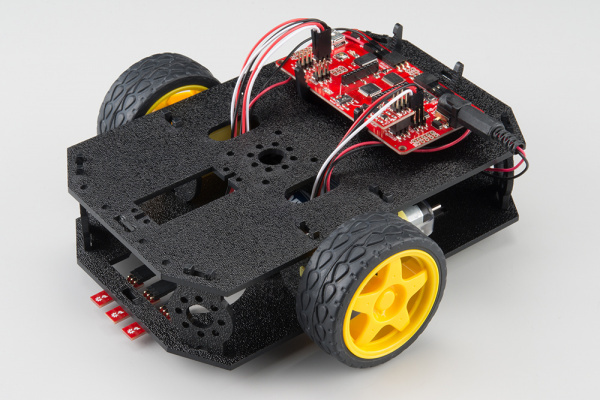 We have two flavors of the RedBot available - the Basic kit and the SparkFun Inventor's Kit for RedBot. If you have the SparkFun RedBot Basic Kit, you can skip the sections marked with (SIK). Alternatively, you can pick up additional sensors to install on your RedBot. These parts include the Wheel Encoder Kit, RedBot Buzzer, and two RedBot Mechanical Bumpers. Follow the sections in this guide that covers any of the extra sensors you might have. The SIK for RedBot has a few extra parts that you won't see in the Basic Kit. These include the mechanical bump sensors (whiskers), the buzzer, and wheel encoders. If you have the SIK for RedBot, you can follow all the sections in this guide, including those marked with (SIK). The SparkFun RedBot Basic Kit contains the following pieces. SIK-only parts are noted with an asterisk (*). Note that several of the parts need to be snapped out of the main chassis boards. IMPORTANT: If you have the RedBot Basic Kit, you will need 4x AA batteries. None! The RedBot Basic Kit does not require any additional tools. 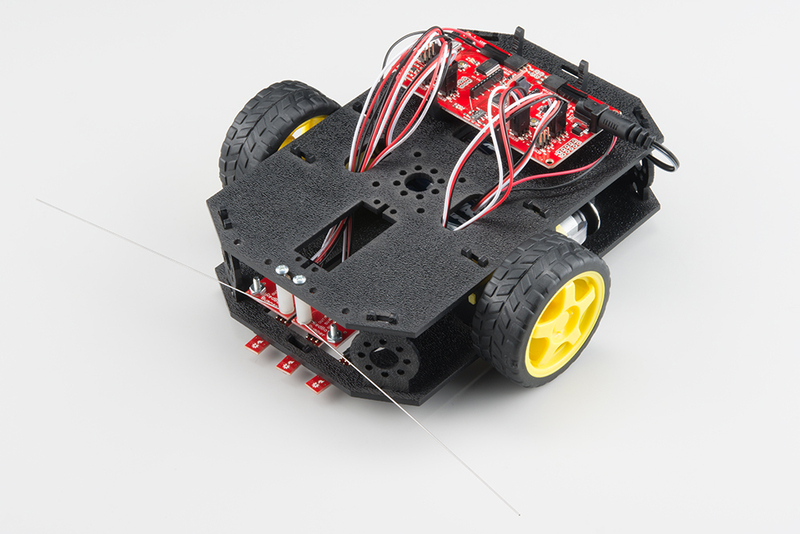 The SIK for RedBot comes with a screwdriver, which you will need to mount the Bumper Boards. If you bought the Bumper Boards separately, you will need a Phillips screwdriver. 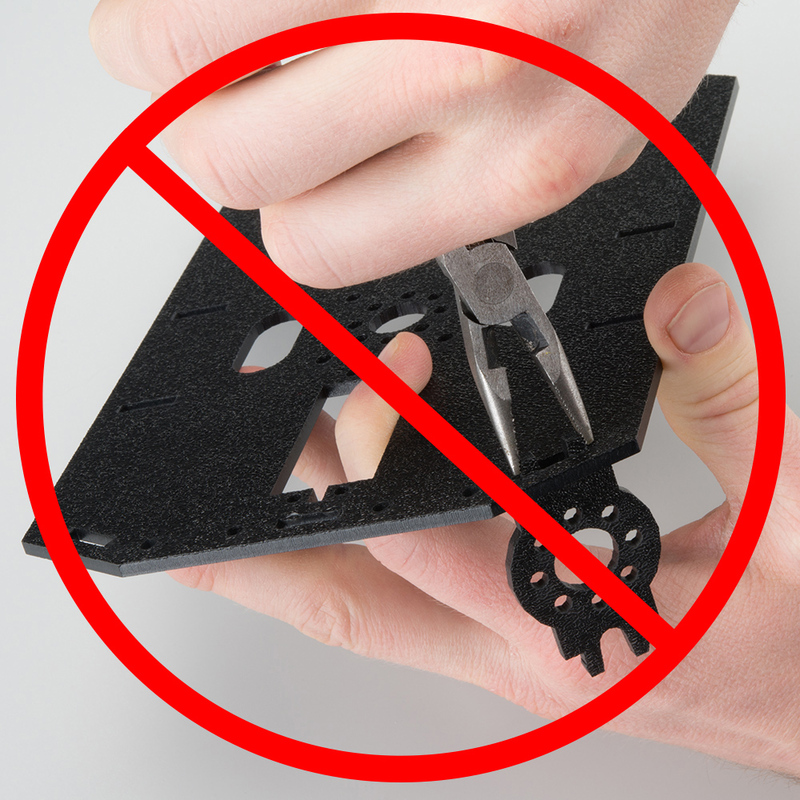 WARNING: Do not attempt to remove chassis parts by squeezing them with pliers. You will break them, and the robot will be sad. When we talk about the "front," "left," "right," and "back" of the RedBot, we are referring to specific sides of the robot when viewed from above. Notice that we consider the Mainboard to be on the "back" of the RedBot and the Bumper Whiskers and Line Follower Boards to be in the "front."